Alfred enlisted on 29th December 1902. He was 18 years and 4 months old, and was a Gardener by trade. He had previously served abroad in South Africa from 9th August 1905 to 2nd March 1909. Alfred embarked at Southampton on 12th August 1914, as part of the Regimental Medical Officer's team for the 2nd Bn. Royal Sussex Regiment. Disembarking at Havre the following day, he entered the war in France on 13th August 1914. 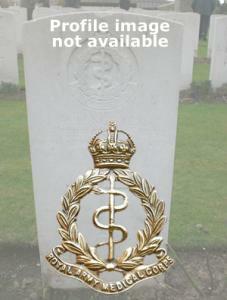 On 1st November 1914 he was admitted into No 8 General Hospital suffering from a gun shot wound to his abdomen. He remained there until the 12th November when he transferred to a convalescent camp. On the 17th November he joined No 8 General Hospital for duty. On 5th February 1915 he was transferred to serve with No 1 Sanitary Section. He remained with them until 21st December 1915 when he was sent back to the UK and ordered to report to the Officer Commanding the R.A.M.C. Depot at Aldershot. He was discharged from the Army on 1st January 1916.